A New Hampshire police department has come to the aid of a couple of adventurous raccoons. 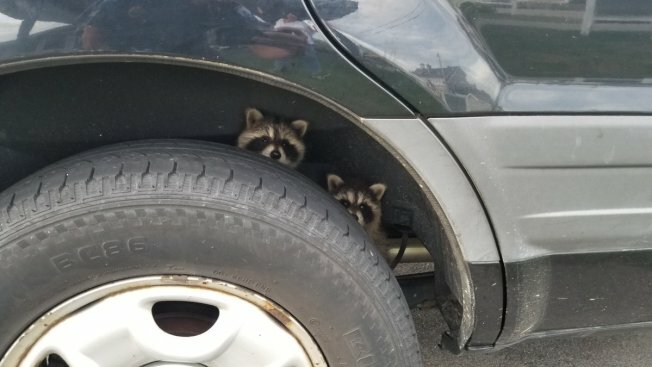 Police in Rye spotted the two baby raccoons peeking out from a vehicle tire at a motel parking lot. A crowd had formed around the car. Police said Wednesday the raccoons were "trying to hitchhike." Police Chief Kevin Walsh tells the Portsmouth Herald the town's animal control officer wasn't on duty at the time. The officers used some of his cages and managed to get the raccoons inside. They then brought them to a marsh behind the motel and freed them.